Hi Friends! Welcome back to the blog! 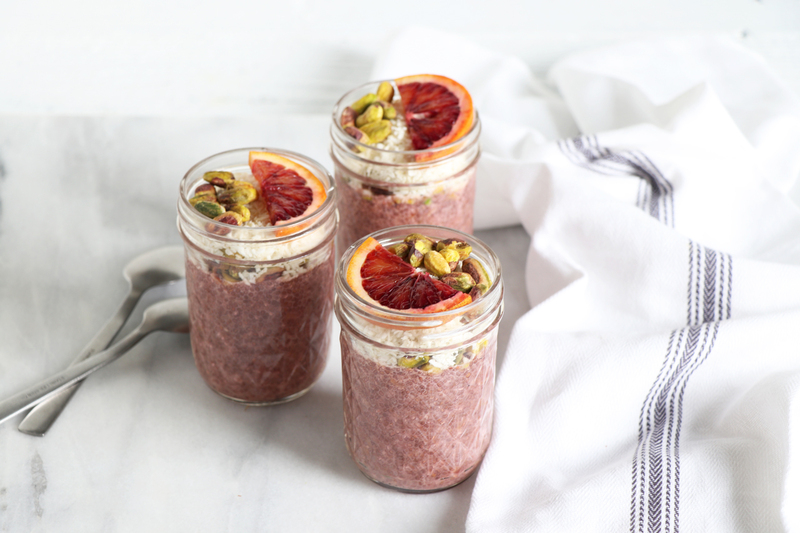 Today I’m sharing how to make Citrus Chia Pudding. This is great breakfast, snack or even healthy dessert! In a medium bowl add blood orange juice & chia seeds. Stir together & pour into mason jars. Let set in the fridge for at least 30 minutes or ideally overnight. When ready, stir again and top with unsweetened shredded coconut, pistachios and slices of blood oranges! This recipe was created for the Limoneira YouTube Channel! Megan Roosevelt, RDN is the Spokesperson for Limoneira’s One World of Citrus Campaign. To see all our tips & videos makes sure to visit & subscribe to the Limoneira YouTube Channel!